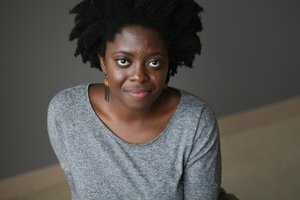 Yaa Gyasi was born in Mampong, Ghana and raised in Huntsville, Alabama. She is a graduate of the Iowa Writers' Workshop. Her short stories have appeared in African American Review, Guernica and Callaloo. 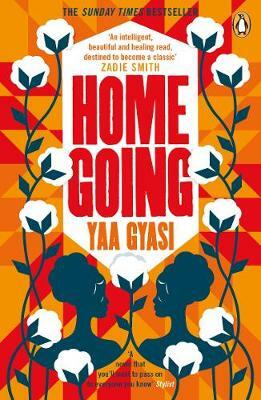 Her debut novel, Homegoing, now available in paperback and perhaps the most eagerly anticipated of what has been a splendid crop of debuts in 2017, travels from the Gold Coast of Africa to the cotton-picking plantations of Mississippi; the missionary schools of Ghana to the dive bars of Harlem, spanning three continents and seven generations to reveal the impact and legacy of slavery and racism in America and around the world. Exclusively for Foyles, Sofia Hericson talked to Yaa about finding a structure to accommodate the weight of time, why it is ridiculous to argue that slavery ended many years ago, and what infuriates her about the publishing industry. Below that, you'll find a video of Yaa introducing her novel. I was fascinated by the structure of your book and how you were able to tell a story that moves over so many years and generations. Why did you decide to tell it in this format? At some point during the course of writing Homegoing I realised that one of the things that I was most concerned with was time itself, or more specifically, the ability to feel as though I was watching slavery and colonialism move and shift over a very long period of time. In order to do that, I felt that I need a structure that could accommodate the weight of as many years as possible, so I decided to tell the story generationally. Having 14 main characters with different genders, orientations and ages must have been quite a challenge to write. Can you tell us how you managed to make each and every one of them so believable? While I didn’t outline the novel, I did work off a family tree, so I had some idea of who the characters might be — their names, where they might live — from very early on in the process. The first draft was really about getting to know who each character was and what choices they might make. I then wrote chronologically. I felt as though each new chapter, each new character, was itself a kind of crossroads, moving along a path that had already been laid out to some degree by the choices of the chapter before, the ancestors. Who was your favourite character to write about? And did your favourite/s change as the book developed? I enjoyed writing about all of them, but I think H’s chapter was a special pleasure because I found the research so interesting.I knew very little about convict leasing in the States, and was totally fascinated and enraged while reading about it. While some real historical figures are mentioned in the novel, none of the characters are based on real people. Your book shows that the legacy of slavery is clearly still felt through all generations. How does it make you feel when people argue that slavery ended many years ago? Did you consciously set out to dispute this in your book? Black people in America were slaves for longer than they have been free.That imbalance (over 200 years of slavery, 100 years of Jim Crowe, 50 years of post-civil rights freedom), is staggering to think about. It is ridiculous to argue that slavery ended many years ago and therefore doesn’t matter. History is not discrete or neat. It doesn’t happen and then end. It informs our present, and I hope that Homegoing is able to show how. As you show through Marjorie’s story, racism can take many shapes and forms and can come from within the same race. Given that you are a Ghanaian living in the US, is Marjorie’s life based on your experience? Marjorie’s chapter isn’t autobiographical, though I do relate to her and Marcus the most. Like me, Marjorie is a black immigrant who grew up in Alabama and I certainly dealt with many of the issues that Marjorie’s character explores. You split the book in two parts: pre- and post-American Civil War. Why did you choose not to include the war years? I liked the idea of having the looming absence of the Civil War separate the novel. Readers could think about what had or had not changed as a result of that war without having to visit the war itself. There’s a lot of debate in the UK about how to make publishing more representative of writers of colour. How have writers of colour fared in US publishing industry? 2016 was a year that saw the release of many novels by black writers in America.Colson Whitehead, Kaitlyn Greenidge, Brit Bennett, Natashia Deon and Nicole Dennis-Benn just to name a few. This is exciting, but I don’t know that it represents some major shift in the publishing industry itself. Behind the scenes, the publishing industry is still very much a white industry. It infuriates me to hear editors or agents who never work with writers of colour say things like, 'I’m only interested in excellence.' What that implies to me is that they don’t think that writers of colour are or can be excellent. But of course writing is art and art is subjective and this subjectivity, this matter of taste, is informed by so many things — race is one of them. To not interrogate one’s taste (ie: why you might like what you like, or perhaps, more importantly in this case, why you don’t like what you don’t like) is to work in a narrow-minded way and to risk missing out on a world of important and beautiful work. Hiring people of colour is one way to check that imbalance, because it introduces an opportunity for a different kind of subjectivity, but it shouldn’t end there. There is a lot of controversy at the moment in America, especially with the recent elections. Have you been affected by this? How do you think Marjorie and Marcus would feel in this new America? I think we’ve all been affected by it. I think both Marjorie and Marcus would tell you that this America is not new at all. What are your plans for 2017? Can we hope for a new book? I have dipped my toes into the waters of a new book. It’s still early days for it, but I hope to settle in and write more in 2017.